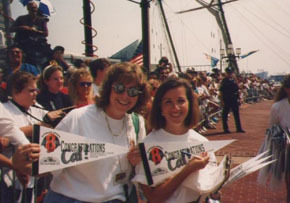 Working the Cal Ripken Parade Post 2131 with Stacey. Reflections of My Life In Baseball featured on Baseball Bard. When looking through my recent print copy of Poets & Writers, I came across a call for poetry submissions for an online literary magazine called Baseball Bard. A little light bulb went off in my head, and I thought: Baseball. Poetry. Baseball. Poetry. Hmmmm…it’s a natural marriage of two things that have been important in my life for a long time. Why not give it a try? I wrote a little poem called “Baseball Behind the Scenes” about how it felt to work for a major league ballclub and sent it off. Having spent 13 seasons with the Orioles, I was so pleased to learn they wanted to publish my work. If you have any interest in checking out my poem or seeing what Baseball Bard is all about, click here, and it will take you to my author page. If you scroll down to the bottom of the page, you can visit different areas of the site. Thank you, Baseball Bard, for publishing my poem. I look forward to writing more poetry in the future to add to my page. Dad & I enjoyed reading this today…and we loved the photo too! Good job! Good memories! Thank you for visiting the site, Mom. And yes, the photo with Stacey does bring back memories. 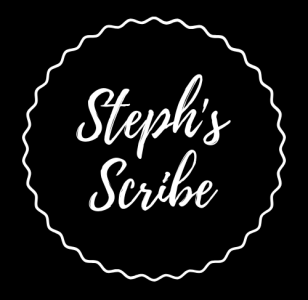 Steph, if you like baseball poetry, please check out Bardball.com. We publish a new poem every weekday during the season, sent in by fans. If you have anything to submit, we’d love to check it out.